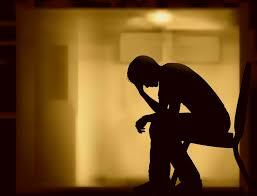 Depression is a painful illness that affects millions upon millions of people throughout the world. True clinical depression is much different than simply feeling a little down or blue. Depression is completely devastating and can destroy a person’s life. It can get so bad that a person is unable to function and even contemplates killing his or her self. If you are currently suffering from clinical depression, than you can understand the true nature of this horrific disorder. Although depression hurts more than almost anything else, being depressed is not a hopeless situation. There are a number of depression treatments that are effective. Depression does not have to last forever. 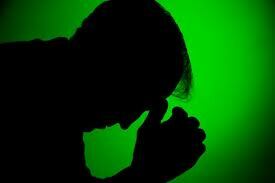 This article is loaded with advice and tips to help you deal with severe depression. If you are feeling severely depressed, the first step is for you to schedule an appointment with a professional. After being evaluated, you and your doctor can work together to come up with a treatment plan. If your depression is situational, simply talking with a therapist about your feelings and working through any issues you have may be enough to allow you to overcome your depression. If your depression is chemical in nature, you may need to begin taking prescription anti-depressant medications in order to help you alleviate your depression. Going on anti-depressants is a serious decision to make, so be sure to discuss all of the pros and cons, as well as side effects, with your doctor. Also, take time to talk with your friends and family members. If you know anyone who has ever taken anti-depressants, ask him or her for advice. Spend time with your friends. During periods of depressive darkness and despair people often feel a desire to be totally alone. Isolating yourself during a depression is probably one of the worst things that you can do. The old saying is true, people really do need people. Spending time with others will allow you to get out of your self and focus on things other than your own suffering. True friends will understand that you are depressed and will want to support you. Engage in regular exercise and physical activity. 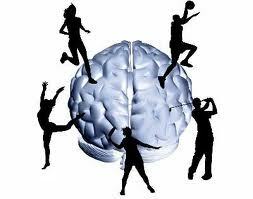 Along with being great for your body’s physical health, exercise is also great for your mental health and well-being. Exercise causes your body to release endorphins which naturally improve feelings and mood. Perform some type of exercise every day and see if it boosts your depression. Eat a healthy diet. If you are depressed you definitely do not want to stuff yourself with unhealthy junk foods or garbage. Eating bad may feel good for a short moment, but junk foods will ultimately cause you to crash and feel worse than you ever did before. Take a daily vitamin and concentrate on eating healthy, nutritious foods such as fruits, vegetables, lean proteins and whole grains. As was mentioned at the beginning of this article, depression is a terrible illness. Remember, as much as depression hurts at the moment, it is possible to come out the other side and feel better. Never give up on yourself! Anti-depressant medications help relieve depression symptoms; for this reason, many doctors prescribe them to anyone who is suffering from depression. However, this is not always the best course of treatment. If someone is depressed because of problems in his or her life, the medications can numb the pain rather than resolving the problem so that the person becomes inappropriately dependent on anti-depressant medications and does not address the problems in his or her life. Read on to determine whether you should take anti-depressant medications or engage in some other form of treatment. In many cases, depression is situational–a person becomes depressed because of things in his or her life that the person feels are out of his or her control. For example, if someone feels trapped in a job or relationship, doesn’t have a relationship with family, or hates some aspect of themselves, he or she can become depressed. For these people, curing depression is often a matter of facing and resolving problems so that they feel in control of their lives again. If someone is facing this type of depression, taking medication will relieve the symptoms but not address underlying issues. 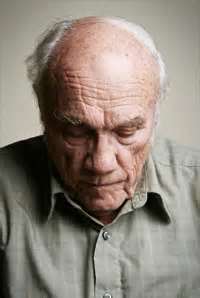 The person may still feel sad or angry after taking the medication; even though he or she is no longer depressed, he or she will feel negative emotions until the problems are resolved. In some cases, depression is caused by a chemical imbalance in the brain. This sometimes happens when a person goes through an extended period of situational depression; the brain adapts to feeling depressed and may stop producing certain chemicals required to maintain mental health. In other cases, a person has a biological problem that causes depression without any corresponding psychological cause. In these cases, anti-depressant medications can help the person feel better so that they can function in their lives. Regardless of the type of medication used to treat depression, depressed people usually need psychological treatment as well. Even if a person’s depression is entirely chemically based, he or she usually has developed unhealthy behaviors in response to feeling depressed, and therapy or coaching can help to correct these problems. Medication by itself is rarely effective. There are many different types of therapy that depressed people may benefit from. Talk therapy in general is helpful because it allows the person to experience feeling fully visible and to express their depression and underlying emotions. Some types of therapy teach depressed people new ways of thinking or behaving that can help relieve depression. Similarly, life coaching can help depressed people to examine the role they play in their depression and to take different actions to relieve depression. Regardless of the cause of your depression, you probably want to invest in some type of therapy or coaching to help you make changes in your life. In some cases, anti-depressant medications can help reduce the symptoms of depression, while in other cases medication will not help you very much. With time, treatment and effort, you can experience permanent relief from depression and live the life you want to live. 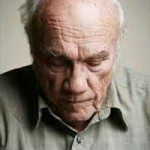 Treating Depression With Prescription–Is It Right For You? Fighting depression can seem like an endless battle, but there are ways to beat it. Prescription drugs can help some people quickly win the fight. Some are concerned that the drugs may not be helpful, while others worry about what the drugs may do to them. 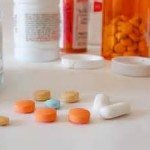 If you are interested in working with prescription drugs, read this article, then talk to your doctor about what may be best for you. 1. Many people wonder about how prescription drugs work with their bodies to fight depression. There is no one right answer for this. Some drugs block receptors in the brain, only allowing certain chemicals to pass through. Others add mood-enhancing chemicals, working to outnumber those that break down your mood. Your doctor can prescribe the drugs that he/she feels will work to fight yours, and explain how it does so. 2. Getting prescription drugs is another concern for people. There is a process that you must go through to get them. First, you will need to visit your doctor and discuss your needs from the medicine. He/She will then write you a prescription for the medication you chose. Next, you will need to visit a pharmacy to get your prescription filled. Do not worry about any stigma attached to these medications. Your pharmacist and doctor are both interested in your health, and know that these drugs are helpful. 3. Another worry for many individuals is the cost of these drugs. 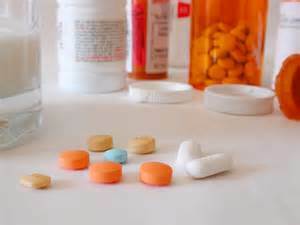 Prescription medications have varying costs, which can often be lessened by choosing the generic form. Your doctor can discuss costs with you as part of finding the right medication before prescribing it. Many drug stores now offer discount medications that will also help with costs. 4. Insurance is a tricky business to understand, which begs the question of coverage. In most cases, depression-treating medications are covered by insurance. You may have to choose a generic brand to receive coverage, but these are realistically no different than the name brands. Your pharmacist can tell you for sure if it is covered. If not, most of these prescriptions are fairly inexpensive. 5. Another concern with taking these medication is the occurrence of side effects. All drugs have side effects of some sort, and they range from typically very mild, such as upset stomach, to occasionally severe, like hives. Once you choose your medication with your doctor, you should ask about possible side effects. If you experience side effects that are unmanageable, talk to your doctor immediately to choose a new medication. 6. When considering taking a prescription drug, many find themselves worrying about the possible effects on finding work. This is one situation where you need not be too concerned. You are not required to disclose your prescriptions to your employers, unless you feel that it may affect your job performance. For example, if your prescription causes drowsiness which could cause issues, you can talk to your doctor about rescheduling your medications. Taking them at night instead can easily fix the problem. 7. When working on choosing a medication, people often wonder which drugs are the most effective. Only your doctor can truly answer this question. Everyone has differences in their brains, which can cause medication to react differently. One well-known medication is Bupropion, often better known by its brand names. 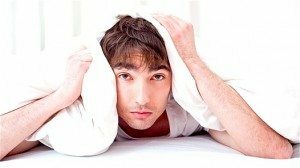 Bupropion is extremely effective in most people, but in a few cases can have a reverse effect, causing tremors, nervousness, and rapid speech, among other issues. Because of these differences, it is extremely important that you work with your doctor to find the most effective medications. When depression seems endless, sometimes prescription medications are the best treatment to turn to. The article you just read should help you better understand the effects of these prescription medicines, and the importance of working with your physician to find the best treatment. While depression is a battle, having a few tricks up your sleeve can be just the right move to help you win the fight. Clinical depression is a serious, life altering disease that can have dramatically negative repercussions on a person’s life. If left untreated, the disease can lead to suicide. It is important to understand that if you suffer from depression, it is not your fault. Depression cannot be willed away. One cannot snap out of a depression. Depression is a real illness and it hurts. As bad as depression is, it is crucial for you to understand that things can get better. You will not always feel this way. This article is filled with tips to help you to treat your clinical depression and start feeling good again. Read on to learn more. Talk to someone. If you are feeling depressed, it is important that you talk to someone about it. Bottling up your feelings and emotions will do no good. Make an appointment to talk with a counselor or social worker. Simply meeting with someone trained to deal with depressive disorders can help you to feel a little bit better. It is the first step for you to take on the road to recovery. If your clinical depression is severe, it is important for you to be open to the possibility that you are suffering from a chemical depression. Some people’s brain chemistry is not right, which can result in debilitating, chronic depression. By taking anti-depressant medications, it is possible to achieve normal brain chemistry. There are a slew of prescription anti-depressant medications available, and each have different side effects and different benefits. It can take up to 12 weeks before anti-depressants start working, so be patient and do not give up and stop taking them after a week or two. Join a support group. Joining a meetup group and talking with other people who are going through the same thing that you are going through can be very beneficial. It feels good to know that you are not alone. Exercise six days per week. Exercising is one of the best things you can do to treat your clinical depression. Exercise releases endorphins which naturally improve mood and well-being. Find an exercise activity that you love, such as dancing, martial arts, softball or golf, and have some fun. Keep a daily journal to track your emotions and feelings. It can be helpful to express your pain in writing, it is a great way to release your pain. It is also useful to have a record of your treatment and which methods have worked best. Get out of the house. During a depression, some people have a tendency to want to stay indoors and isolate themselves; this is the worst thing you can do. Try to meet up with friends, and if that is too difficult, at least go for a walk. Breathing fresh air and feeling the sun on your face can really improve your mood. As was touched upon at the opening of this article, clinical depression is a serious, devastating disease. If you are suffering from depression, it is important that you stay hopeful. No matter how bad things are at the moment, it can get better. Depression doesn’t last forever. Good luck and stay positive! Fight depression may be a tough opponent, but you’re tougher! With determination and a few tricks up your sleeve, you can set yourself back on a positive course in life. Check out the following ways to fight depression and can handily beat depression when it strikes. 1. Get involved with a hobby. Something new that gets you thinking can really help divert the negative energy and thoughts that are directing you toward being depressed. Try something interesting and crafty or exciting and stimulating to get your mind geared to happier thoughts. It might help also if your new hobby involves new people and a change of scenery. 2. Seek out sources of laughter and inspiration. Even by yourself, the choices you make can have a big impact on depression; choose to watch a comedy rather than the evening news, or pick up a thrilling book rather than being gloomy. You already know what makes you happy, so actively seek it out until you find reasons for smiling! 3. Find a support group. Life gets everybody down at some point, and having people to talk to that feel the same way can really help. Find a gathering, either in person or online, where you feel you fit in and are comfortable discussing your feelings. Sometimes a stranger makes the best listener and can offer you the best advice. 4. Get fresh air. Staying indoors all day will only foster that cloudy mood; go outside and feel some sunshine on your face! Listening to nature or just the simple sounds of traffic in the neighborhood will perk you up a bit. Avoid cooping yourself up in your home, at any cost! 5. Take better care of yourself physically. Eating right and getting plenty of sleep are very important toward clearing depression; the better your body is functioning, the better your mind works. Try feeding yourself like a king or queen with loads of fresh fruits and vegetables, your favorite entrees and other items that give you strength and energy. Try yoga or meditation to help clear your mind and ease your thinking. You owe it all to yourself! 6. Be realistic to avoid disappointment. Setting yourself up for failure by having lofty, unreachable goals is a huge facilitator of depression, and we all do it at some point in our lives. Start a journal, featuring your accomplishments thus far, where you’d like to be in the future and realistic ways you can get there. Break big problems and big dreams into smaller parts, so you can put them within reach. 7. Ask for professional help if necessary. You are only human; whatever you are going through may be beckoning for professional intervention, and you’re probably not in a position to see that. It’s a small step from having the blues and being down for awhile to full-blown, clinical depression, fight depression. Make sure what you are suffering from isn’t more than you can handle, by talking it over with your physician, church leader or someone else you can depend on. A second opinion may be the first step in the right direction, and you deserve to be well and happy. Fight depression works hard at bringing you down, so you’ve got to work harder at getting back up. Use these tips and whatever else you need to dust yourself off, pick yourself up and get back into enjoying life. Depression can affect anyone at anytime. It not only affects the person feeling this way, but it also affects the people around him. When you lose your desire to even get out of bed in the morning, you need to find out the reasons why you are feeling this way. 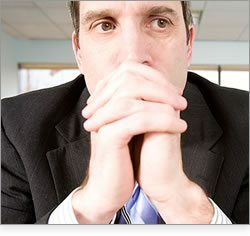 To help you sort your thoughts, read this article and see if any of these reasons apply to you. Sometimes, depression can be hereditary. The way you feel is regulated by hormones in your body. If your family has a history of imbalances, you may be one of the people affected. Get a complete physical examination from your doctor and let him know how you have been feeling. He will do a blood test to determine if there is anything abnormal. If something is identified as the cause of depression, it can be effectively treated with the proper medication. A recent loss of a pet or someone you love can cause the onset of depression. This is natural, for you must allow yourself a period for grieving. Allow yourself to grieve. Get together with others who understand your loss, and talk it over. When you can share your feelings with a sympathetic ear, you can start to heal. Do something to remember your loved one on a routine basis. This is also part of the healing process. Perhaps you have been hurt by someone, either physically or emotionally. Do not keep this to yourself. If you have been physically hurt by someone, tell a person of authority and try to get protection from that situation. If someone hurt you emotionally, remind yourself that this person has no power over how you feel, and what he or she said is insignificant. Envision yourself as a hard sounding board where abusive words will just bounce off of you and not penetrate your shield. You may be feeling blue because you have some problems financially. If that is the case, there are solutions that you can seek. Debt is a common problem. If you are deep in debt for a while, you may want to consult with a debt consolidating service to help you create a payment plan for your debt. Do not let this overwhelm you. There is a solution out there that can address your financial problems. Problems in your personal relationships can cause you to have negative feelings. Take a break from the person with whom you are having problems. Let the dust settle, and then think of how the both of you can resolve your problems. Take things slowly and keep your temper in check. The first thing to do is to talk it out. Sometimes seasons can affect people in different ways. During winter, when days are shorter and nights are longer, it can have a subconscious affect on how you feel. Just be mindful of that. Depression can be caused by many reasons. Try to identify what triggered your negative thoughts, and nip those triggers in the bud before your feelings get any worse. In order to overcome depression you have to first accept that you are actually depressed. Once you do this then you will understand that you have to do something about it. If you don’t accept that you are depressed then this is going to be a tough battle for you. There is nothing wrong with realizing that you are depressed, it just means that there is something that you have to do in your life to make yourself happy again. 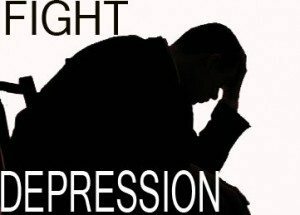 Go through the contents of this article to see what you can learn about fight against depression. Depression is a battle, and you have to come with your guard up the entire time. Remember that you aren’t thinking straight and that your brain is sending negative vibes all throughout your body. So you are going to want to counter this with positive thoughts. Try your best to do things that you like, and to do things that interest you. When you do this you forget about all of the negative things that pop up in your head, and you can live life a bit more comfortably.continue read this article how to win the fight against depression. Exercising will help you get over depression a lot. Exercising helps reduce the amount of stress in your body, and it will help you feel good about yourself. Try and form a regular exercise routine so that you know you can get through life as a fit individual. Sometimes people who are overweight are the ones who find themselves depressed. That is fine because you have nothing but the future ahead of you, and you can make the necessary change in your life to make a better outcome for yourself. Make sure that you create a big social circle for yourself. If you don’t have a lot of people to talk to and consult with about how to get over being depressed, then you might not feel good about yourself. Your close friends and family members should be the people that are always going to be by your side. So you are going to want to make sure that you talk to them whenever you feel down on yourself. They can help boost your mood a lot because they are the ones that know you best. Just try and live life. Sometimes people get themselves into a little slump, and time is what straightens things out. Do activities that you are interested in, and try your best to live life the way you want to live it. Don’t feel restricted to doing things that you aren’t interested in. Do what you want to do in life and see how much better you feel about yourself. The battle is still raging on, but now you have found the key to winning the fight against depression. Apply everything that you learned today so that you can produce the best possible future for yourself. It is up to you now to make the next move against your depression, so make it a wise one and apply everything you learned today to finish the fight against depression! Many people who experience depression find relief through prescription depression medications; however, it is very important that these medications be considered carefully. Prescription depression medications are quite powerful and can have negative side effects. 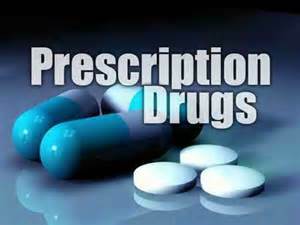 Follow the basic information presented here to help you make good choices about prescription depression medications. If you feel you are in need of an anti-depressant medication, you must speak to your doctor. He or she may write you a prescription, run a battery of tests and/or give you a referral to counseling. If your doctor runs tests and finds that your blood levels are lacking in dopamine and/or serotonin, you will probably receive a prescription to correct this physical problem on the spot. If a lack of serotonin or dopamine is not to blame for your depression, your doctor will be more likely to refer you on to counseling. If your doctor does prescription depression medications for you, be certain it is one you can afford and/or one that is covered by your health insurance. Talk with your doctor about the cost of the medication and find out if there are less expensive generics available if the cost is prohibitive or your insurance won’t cover the medication that has been prescribed. 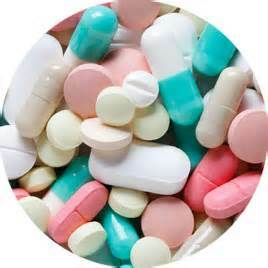 Additionally, there may be programs available to help you procure your medication. The most important thing is that you begin your medication as soon as it is prescribed. It takes a while for anti-depressants to kick in, so the sooner you start taking yours, the better. Be sure to read all of the information that comes with your medication and do some online research. Many anti-depressants have strong side-effects. Read through the literature early on. If you see that there is a high likelihood of being affected by side-effects and/or if the effects are unacceptable to you, see your doctor. In any event, be aware of all possible side-effects so that you can identify and address them right away should they occur. Don’t feel self-conscious about taking anti-depressants. This is actually nobody’s business but your own. Properly prescribed and dosed anti-depressants will not hamper your ability to interview well, be hired to a good job and perform that job efficiently. Within the hiring and employment process, the only time you should have to disclose information about any prescription depression medications you are taking is in the event you are subjected to a drug screening. If you are unhappy with your medication, don’t just stop cold-turkey! See your doctor to discuss any problems you are having. Your doctor may wish to adjust your dosage or wean you off one medication and begin an alternative. It is very important that any changes made to a regimen of anti-depressant drugs be made with a doctor’s supervision. Depression that cannot be managed through diet, exercise and other positive life-style changes can often be managed very effectively with prescription anti-depressants. Follow the information presented here to approach your physician and make the very best choices about medication therapy for depression. People say a lot of things about depression that are simply not true at all. These myths can make someone that suffers from depression feel a lot worse about themselves if they’re not sure what’s true or not. Educate yourself on what depression is by taking the myths below and figuring out if they are true or not. Some people think that depressed people are just having a case of “the blues” and that it is normal. Well, if you have been diagnosed with some sort of depression then you know that this isn’t the case. If you’re down and feeling sad for no reason at all for extended periods of time, it is a chemical imbalance that can be corrected with medication and therapy. This will not just go away if you have depression. Suffering from depression doesn’t make you a weak person. Plenty of people that are well known have struggled with it, and many people are diagnosed with it every day. Sure, it wasn’t that well known in the past, but now that science is exploring the causes of it there are a lot more people getting diagnosed. It’s still kind of a newer science, so people still need to be educated that it’s a chemical imbalance. Depression is not some kind of psychosis. It is caused by not producing certain chemicals in the brain enough. Mental disorders that include psychosis have people believing in things that are not true, or delusions. Depression is vastly different and takes a different class of medications to control. While it can be just as bad as other mental disorders, it is not the same in any way. Some people think that mental disorders are just caused by stress and are a normal part of every day life. This is not true, however, because there are studies that show chemicals in the brain are responsible for mood. Having depression is very much like having a physical health problem. In fact, it can also affect your physical health. People should understand that if it were just stress, then it would go away when the stress went away. Some people think they have to shield or protect the person that has depression. This could backfire and make the depressed person feel even worse, so don’t let this happen. How would you feel if you had a broken arm or something and people would try to do everything for you? Most people just want to be treated normally, so don’t treat anyone with any kind of illness any different. It’s very easy to spot others trying too hard to help, and it makes people look like they don’t know what they’re dealing with. Depression is a fairly common mental disorder that lots of people struggle with daily. Even though there are tons of myths out there about depression, they mostly are not true. Treatment is available for depression, so don’t worry about what people think and get your life back on track. Depression affects millions of people each year. Fortunately, a handful of people who suffer from depression can easily overcome it by changing their thought process. You can easily manage your depression and its symptoms by acquiring helpful knowledge. 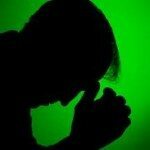 This article will help you deal with your depression in a natural way. In order to overcome your depression, you need to understand what caused it in the first place. Much like with everything else, you can’t fix something unless you know where it broke. It may take you a while to pinpoint your problems, but it is helpful to consider which situations cause you the most stress in your life. By figuring out how to handle stressful situations, you can start climbing out of your depressive spiral and work towards a positive life. Avoid negative influences in your life. If you surround yourself with negative people, you will find your depression taking a turn for the worse. Hang out with your friends that provide a positive influence and make you feel good about yourself. Avoid any friends or co-workers that drink, do drugs or other things that can be directly harmful to you. Your depression can only be cured if you try to eliminate as much negativity from your life as you possibly can. Try to see the silver lining in everything and try a positive outlook on life for a change. By changing the way you look at things, you will find yourself become a more fulfilled person. Depression will only affect you if you let your negative thoughts take over your everyday life. Positive people take a graceful approach to accepting rejection, sadness or disappointment. By choosing positive over the negatives, you will become a more pleasant person to be around and you will also see your social life improve. Participate in a hobby or activity that makes you happy or provides you hours of enjoyment. Keep yourself occupied most of the day, and you won’t have time to feel negative emotions encompassing you. If you don’t have a hobby right now, develop one! Try something along the lines of pottery, painting, sewing or learn to play the guitar. These are all things that can bring hours of relaxation and a feeling of accomplishment. Activities such as yoga, sports or dance are also a great way to feel occupied and keep your health in check. If your depression has been around for months and you have absolutely no idea what to do, seek help from a medical professional. Some people may need to see a psychiatrist in order to see the silver lining in their lives. Don’t be afraid to ask help from a doctor or psychiatrist when you feel like you’re losing control. Depression can affect so many aspects of a person’s life. It can feel overwhelming and the pressure to feel happy is always on. By choosing to educate yourself on the ways that depression can be cured, you will make way for a happier and more refreshed you. Use the advice from this article and you will enjoy a positive life.